Davidson's Diabetes Mellitus provides the most current information for the clinical care of patients with diabetes. 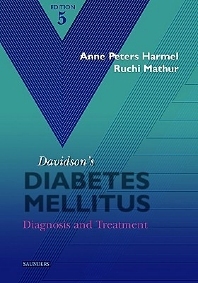 The fifth edition of Davidson's Diabetes Mellitus has been significantly revised to reflect the rapidly expanding body of knowledge on the treatment of diabetes. The new edition has been expanded to include chapters on medical nutrition therapy, insulin resistance and macrovascular disease, and diabetes in children. The new edition also includes findings from the United Kingdom Prospective Diabetes Study and updates on treatment options, including newer insulin analogs, recently approved medications, and combination therapies.